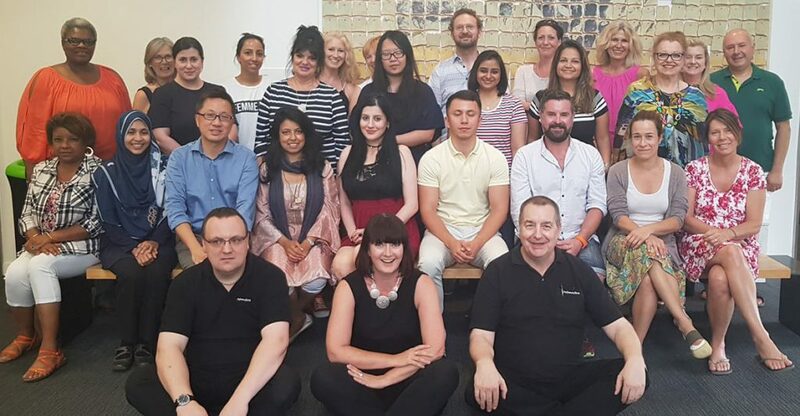 Every year since 2012 I have had the pleasure of hosting The Art & Technology of Perfumery 5 day foundation course with Perfumersworld. I met Steve & Ryan in the same year when I decided to step out of my own business and immerse myself in someone else’s classes for 3 weeks. 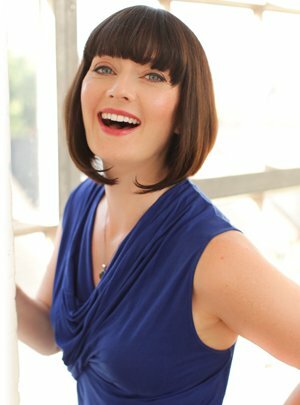 I stepped back into teaching in 2010 after being absent from the fragrance industry for 6 years. 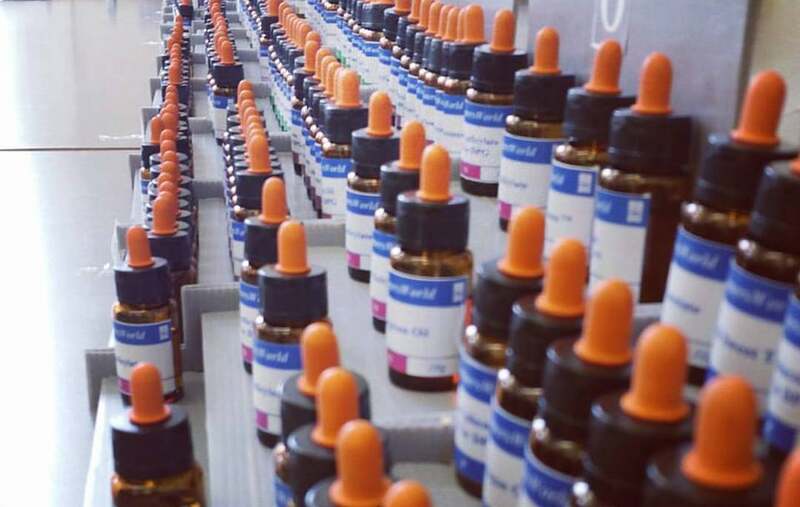 I’d started teaching my own classes and had also created a natural perfumery class for Neal’s Yard Remedies. People had started asking me more and more about aromachemicals and quite honestly I hadn’t really touched anything but naturals since I left IFF in 1999 and I felt like I needed to throw myself back in before I could confidently include them in my classes. The 3 weeks in Thailand was pretty intense and the knowledge all came flooding back – except this time it was 100 times easier to understand. All my old text books made way more sense. 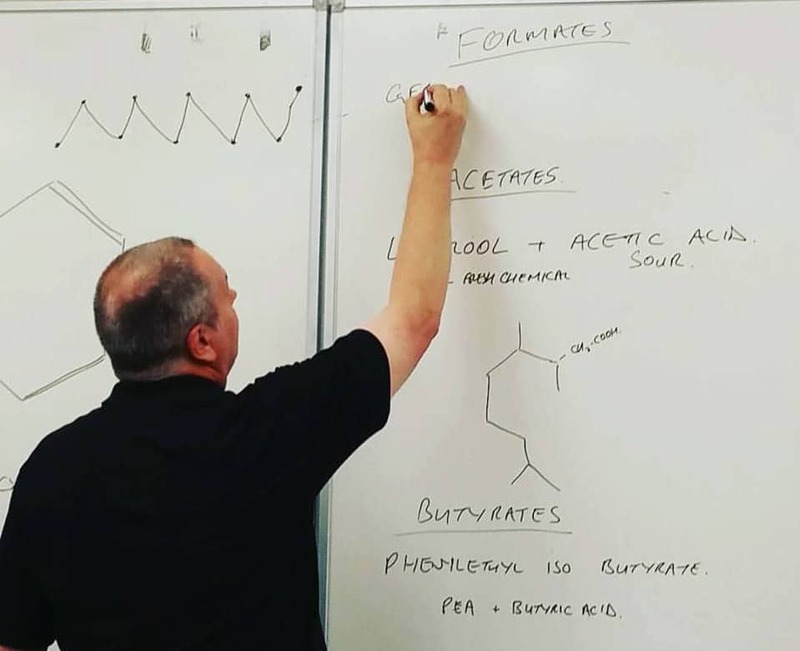 Steve had taken what is usually taught in perfumery schools and simplified it so even a beginner could understand and make sense of the chemistry and the hundreds of materials that go into fragrance creation. The other students in the class ranged from beginners to fragrance industry professionals who had been sent by a well known fragrance house to improve their skills. Being as both Steve & Ryan are from the UK I asked why they didn’t run classes there to which they replied “we’ve been in Thailand for so long we don’t have anyone on the ground there to organise it”. A light bulb went on and I suggested we do a pilot class later that year. They agreed that they could do the 5 day Foundation Course but not the Professional Level as there were too many materials and logistics involved. That pilot became a yearly event and last year we moved the event to Winchester University where we welcomed 30 students from all corners of the globe. This year for the first time ever, they have agreed to run the Pro course too – so the full 3 weeks that I did back in 2012. The most common question I get is should I do this or your online course, what’s the difference? Quite a large chunk of my students do both. I designed my online programmes to complement the practical training that is offered in the Perfumersworld courses. Like anything that has a huge depth of knowledge involved people learn in different ways and need different approaches at different stages in their journey. What I’ve found over the years is that people need theory, practical hands on “in the room” help AND ongoing support. My focus is on the artistry of artisan perfumery and launching your brand. I personally teach with naturals front and centre with aromachemicals filling in the gaps. My personal focus for the foreseeable future is my Online Perfume School with the very occasional live Bespoke Perfumery Masterclass so if you want my hands on help alongside the Perfumersworld team then this once per year event is your opportunity. Even if you have already done my online training, the practical aspects of this live course will help you iron out any struggles and take your perfumery to the next level.